Boosted · Based on Bootstrap the most popular library. Orange Boosted is a framework library accessible, ergonomic and Orange branded based on Bootstrap v4.3.1. We have a few custom made components to suit your extra needs, discover them on the Boostwatch page ! 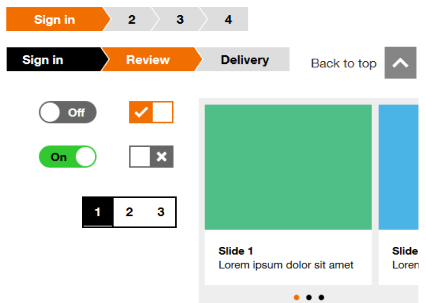 Quick start your project with one of the boosted-made Orange templates. Yes, we do have an Angular version, and it's right here ! Migrating from Boosted 3 to v4 ? See migration guide for a quick overview of what are the main changes.